Caulifower is an extremely versatile vegetable that is low in fat and carbohydrates but high in nutritional density (dietary fiber, vitamin B & C, and carotenoids). 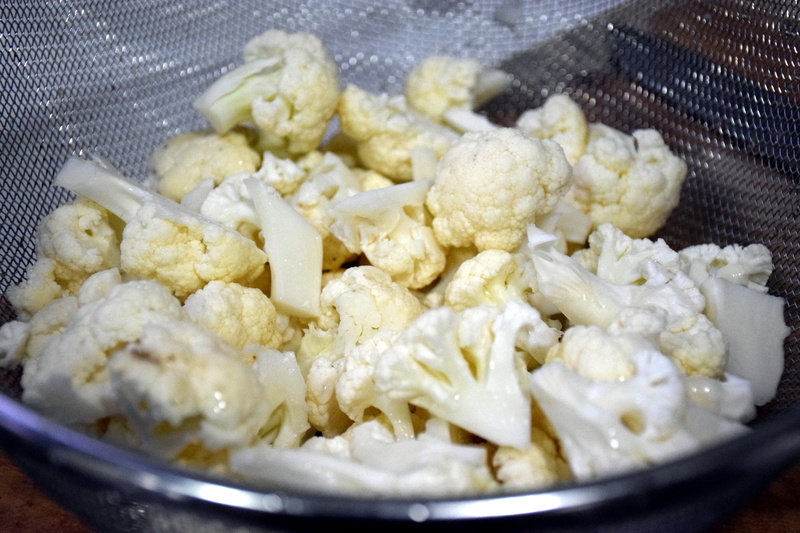 I used to just roast or steam cauliflower but have discovered lately that this vegetable can be a great substitute for a lot of different grains and starch-heavy foods like rice and potatoes. 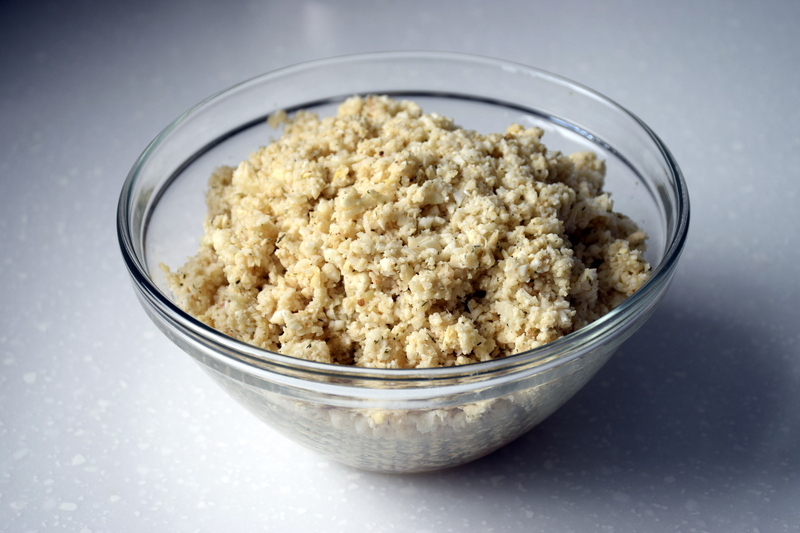 I had recently used cauliflower as a bread substitute to make a gluten-free Cauliflower and Hazelnut Stuffing. My latest venture in the cauliflower experiments was to make “rice” which is ridiculously simple. The cauliflower is left raw and pulsed into tiny rice-size grains with a food processor. It takes just a few minutes and the resulting texture is so similar to rice but without the starch content. It can replace rice or couscous in any dish, left raw or cooked gently until “al dente”. The raw taste is obviously quite bland, but you can season it as you would any rice or couscous dish. I tried a Mediterranean Cauliflower Rice recipe which processed the “rice” with pine nuts, cumin and dill, but I felt the flavor was still a bit bland. Next attempt, I am going to try making Chinese Fried Rice with cauliflower and see how that goes! Chinese Fried Rice: After frying the cauliflower rice, push the cauliflower to one side of the pan. Pour in 1 beaten egg in the empty part of the pan and lightly scramble the egg. Mix in the scrambled egg and rice together. Optionally, add some sti-0fried veggies and soy sauce. Rice Salad: After frying a cooling, mix in some chopped cucumbers and tomatoes. Season lightly with some olive oil and vinegar. Optionally, mix with some sautéed onions. Spanish Rice: After cooking the cauliflower, add an 8 oz can of chopped tomatoes and a little hot sauce to taste. Optionally, add some sautéed diced green pepper and garlic. Lemon Rice: Add some lemon zest and lemon juice. Remove the outer leaves and core the cauliflower head. Cut into even sized florets. Working in batches, pulse the cauliflower until it is completely broken down into the size of medium-grain rice. You can leave the rice in this raw state or cook it gently over the stove with some olive oil until tender.